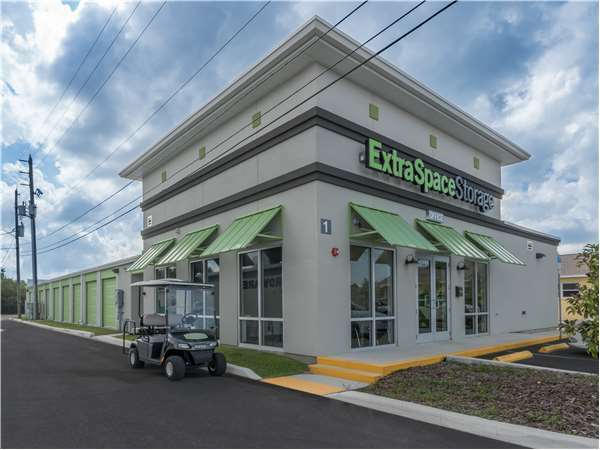 Located near the intersection of Walsingham Rd and Oakhurst Rd, Extra Space Storage serves residents of Largo, Indian Shores, and Ridgecrest. Locals will recognize our facility across from McDonald's. Drive south on Indian Rocks Rd. Turn left onto Walsingham Rd. Our facility will be on your right across from McDonald’s. Drive north on Oakhurst Rd. Turn right onto Walsingham Rd. Our facility will be on your right across from McDonald’s. Drive west on Walsingham Rd. Pass Florida Botanical Gardens and continue west. Turn left and continue onto Walsingham Rd. Our facility will be on your left across from McDonald’s. Drive east on 5th Ave N. Continue onto Walsingham Rd. Pass Walgreens and CVS and continue east. Our facility will be on your right across from McDonald’s.